This week’s favorite brunch spot to dine with your dog is Sessions in the Presidio. They have a great patio to eat with your dog by your side. 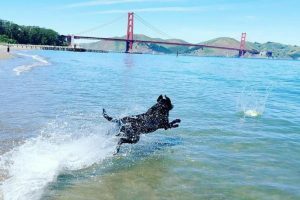 After a Saturday morning of fetch and some play in the bay at Crissy Field East Beach, take a dog walk up for food and one of their 24 beers on tap. Called Sessions because of the session option of low alcohol beer, you can have fun and still safely walk (or be walked) home with your pup. We go back for the fries with hop salt, the avocado toast and the vegan burger is as delicious as the beef. 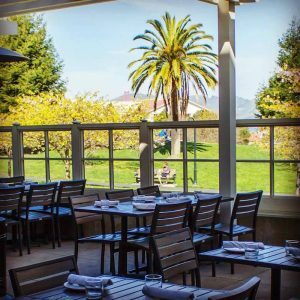 As a perk to being in the Presidio, they have a partnership with Skywalker Ranch in Marin County so they feature locally grown fruits, vegetables and herbs. This allows them fresh meats and seafood that is naturally raised and sustainably harvested. We give them two thumbs and four paws up. Sessions is just over a mile west of our Fog City Dogs Lombard Daycare location in the Marina District, so leave work early, pick up your dog from Daycare, and check it out!